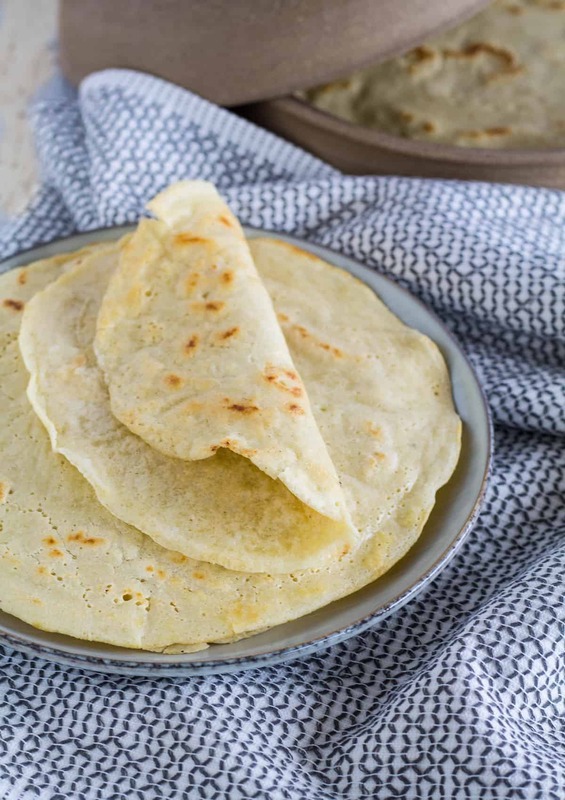 These Gluten Free & Paleo Tortillas are super fast and easy to make, flexible, won’t break when folded, and are sturdy enough to hold all your fillings. And the best part? There’s no rolling required! These tortillas have been one of my staple recipes for years now and have never let me down. 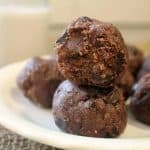 They are quick and easy to whip up, hold fillings like a boss, and can be made in large batches and kept in the freezer for later. 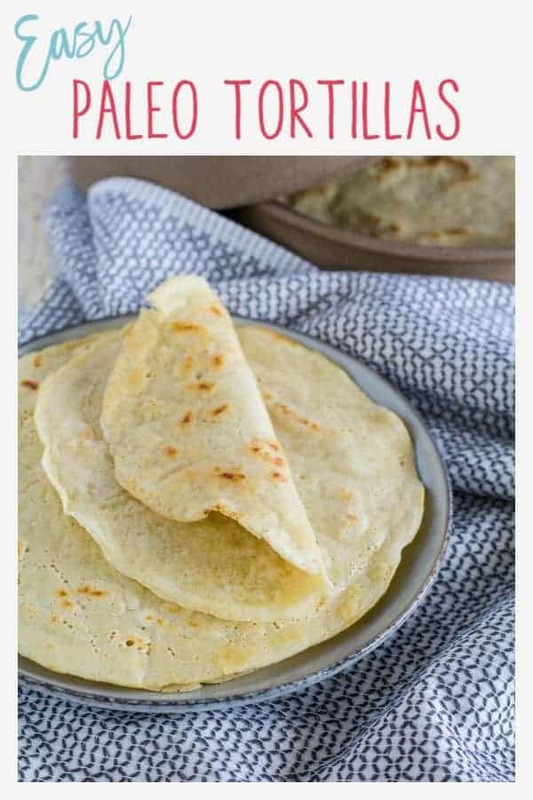 While I have other tortilla recipes such as my cassava flour tortillas, grain nut & egg free tortillas, and my keto tortillas from my Keto Breads Cookbook, these will always be my favorite and my go-to recipe. They’re flexible, won’t break when folded, are sturdy enough to hold all your fillings, and don’t require rolling! Start by whisking together 1 cup of blanched almond flour, 1 cup of tapioca or arrowroot flour, 1/2 tsp. baking powder, and 1/4 tsp. sea salt. 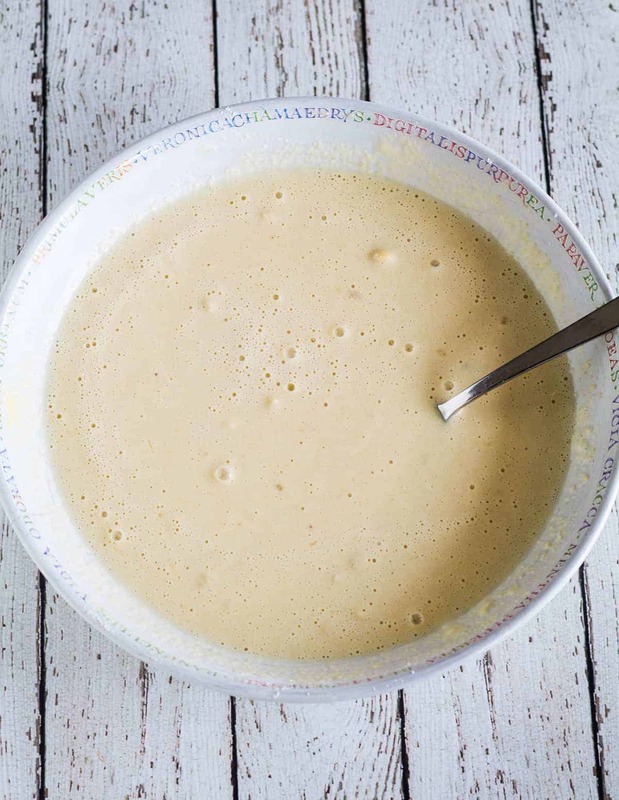 In a separate bowl, whisk together 2 eggs and 1 cup of non-dairy milk. I use unsweetened cashew milk from the carton, but whatever milk you prefer should work just fine. Then, stir the wet ingredients into the dry and mix well. The batter will be thin but will slightly thicken as it sets. Heat a medium-sized skillet over medium heat and very lightly grease with oil of choice. The less oil the better, just use enough to keep the tortillas from sticking. Pour around 1/3 cup of batter into the hot skillet. Then, lift up the skillet and swirl the pan to spread the batter. Try to get the batter as thin as possible. Allow to cook for around 2 minutes, or until the edges look dry and the bottom starts getting brown spots. Flip the tortilla and cook another 2 to 3 minutes, or until the other side is nicely browned. Set the tortillas aside in a tortilla warmer. If you don’t have a tortilla warmer, simply place the tortillas between two damp paper towels on a plate. This will keep the tortillas warm while also keeping them from drying out. Tortillas stay fresh covered at room temperature for about a day. After that they should be stored in the freezer because they don’t keep well in the fridge. When storing in the freezer, place a small piece of parchment paper between each tortilla to keep them from sticking. As you cook the tortillas I recommend putting them in a tortilla warmer. If you don’t have a tortilla warmer though, simply place the tortillas between two damp paper towels on a plate. This will keep the tortillas warm while also keeping them from drying out. Stove temperatures vary, so adjust temperature as needed. The tortillas should develop darker spots and cook in about 2 minutes per side. If they are browning evenly, similar to a pancake, you need to turn up the temperature. Use as little oil as necessary. You will need a very light coat of oil to keep the tortillas from sticking, but don’t overdo it! I add about 1 tsp of oil that lasts me two or three tortillas, but all pans are different. Looking for more gluten free recipes? 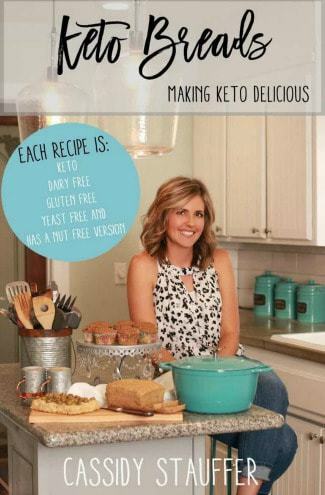 You may enjoy my Keto Tortillas from my Keto Breads Cookbook or Gluten Free Palate’s Gluten-Free Bread! These Gluten Free & Paleo Tortillas are super fast and easy to make, flexible, won't break when folded, and are sturdy enough to hold all your fillings. And the best part? There's no rolling required! 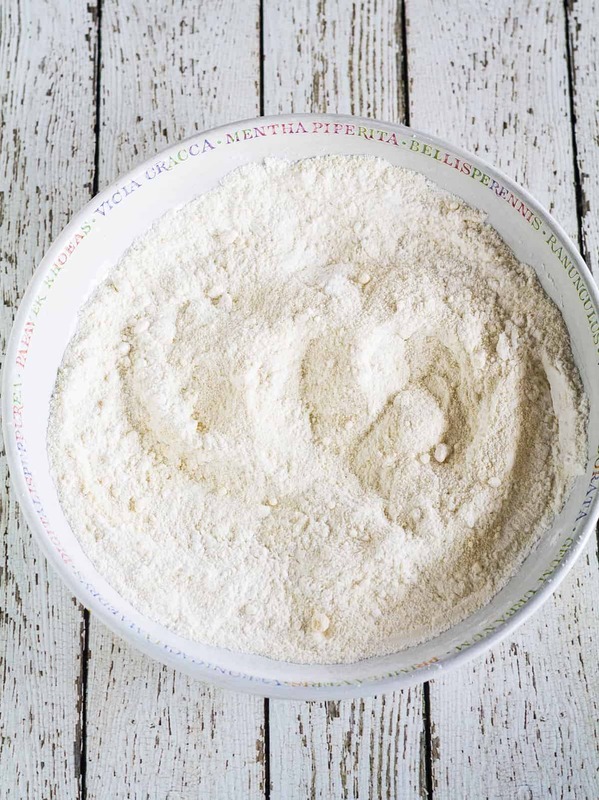 Whisk together the almond flour, arrowroot, salt, and baking powder in a large bowl. In a separate bowl, whisk together the eggs and non-dairy milk. Then, stir the wet ingredients into the dry and mix until batter is no longer lumpy. Batter will be thin but will slightly thicken as it sets. Place skillet over medium/medium-high heat and very lightly grease with oil of choice. When pan is pre-heated, pour about 1/3 cup batter into pan. Lift up and swirl pan to spread batter. Try to get the batter as thin as possible. If tortillas are turning out too thick, thin with additional non-dairy milk. Allow to cook for about 1 to 2 minutes or until edges look dry and the bottom is developing brown spots. Flip and cook until the other side has brown spots as well. 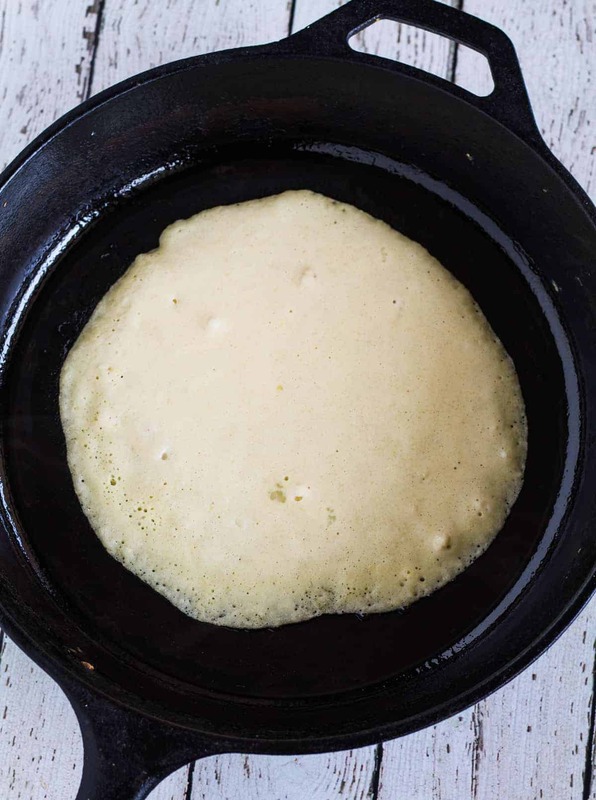 If tortillas are browning evenly, similar to a pancake, instead of getting brown spots, slightly increase the heat. Remove tortilla and place in a tortilla warmer. Repeat with remaining batter and set aside. Nutritional information does not include oil for frying. These stay good covered at room temp for about a day. After that they should be frozen. To freeze, allow to cool completely and place in a large freezer-safe bag with a piece of parchment between each tortilla. Do not keep in fridge as they tend to get hard. These look so yummy!! What would you suggest in place of the almond flour? My DD is allergic to all the different nuts and tree nuts. THX! I’m sorry you have a nut allergy in the family 🙁 Almond flour is kind of hard to replace, the only replacement I know of is superfine sunflower seed flour but I haven’t tried it. Let me know how it works if you get the chance to test it out! I was testing various tortilla/wraps recipes and made 1/2 a batch of this recipe. It turned out very good, better than some of the other ones I tried. Will like to experiment with some additions, like garlic, fresh chopped rosemary, or curry powder for savory versions, and a little cinnamon for sweet versions. 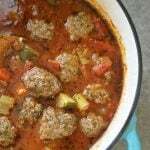 Sounds yummy and looks easy to make. I don’t have almond flour but do have coconut flour, will this work? If yes, what would be the substitution? I’m sorry, but I don’t think coconut flour would work in this recipe 🙁 Coconut flour is a lot more absorbent than almond flour, so you would need quite a bit less. I would need to do a lot of experimenting to convert it to coconut flour. Sorry again! We can’t have almond flour due to a nut allergy. Do you know if other gluten-free flours would work as a good substitute? If so, what kind? Mine don’t look like yours but I bet they taste as as good. Hi Cassidy, I came across your website yesterday when searching for GFCFSF cream cheese, and I stayed on it reading most of the day! I was floored when I read your comment about bloating. This is me. It has made for some very uncomfortable social outings! I am sorry you go through it too. Until I read your site, I did not know it could be due to grains, so I also researched the paleo diet last evening. Thank you so much for these recipes and pointing me in a direction that could help. I hope you are experiencing some relief. Any way to make these without eggs? I’ve never tried them using any kind of egg substitute so I just can’t say for sure, sorry. The eggs provide some fat and help bind so you could try some olive oil maybe (a few Tbsp?) and a binding agent such as xanthan gum, chia seeds, flax seeds, or psyllium husks mixed with warm water so all in all it equals 1/2 C??? Or you could try using flax eggs – just warm water and flax seeds. If you try this recipe without eggs let us know what you did and how it turned out! I use equal amounts of almond flour, tapioca, and water(that’s it). I add a little sea salt and garlic for flavor. In my opinion, grain free flat bread/tortillas are better than normal ones. They are crispy and chewy. They also make great “pita chips” if you bake in oven. I can not wait to make the hamburger buns and mayo. Thanks Amy! I love these tortillas better than the normal one too 🙂 Let me know what you think of the hamburger buns and mayo!!! Oh boy do we Love these. I make them all the time now in big batches as they save so well. And they are soooo versatile, I ran out of arrowroot and used 1/2c potato starch and 1/2c tapioca starch and they were just as good. My daughter loves to spread dairy free butter on them and sprinkle with cinnamon and sugar, I use them to replace all other tortilla or crepe needs and can’t thank you enough. I currently have all the ingredients for your chimichangas, ohhhh can’t wait. Thanks very much for this recipe. We loved it! Thanks for the advice and I definitely will let you know if I find anything that helps with the gastroparesis. Hey guys! I have gastroparesis too, I’ve had it for about 4 years now. I take digestive enzymes with every meal that help a ton. And ginger pills for nausea. I live a drug free life and manage symptoms naturally! I feel your pain though, there are great days and horrible days too. Need to try this recipe! So tired of spending a ton on Siete. Sorry to hear you have gastroparesis too 🙁 My doctor put me on domperidone but I try to mostly control it with my diet. I think being grain free helps with a lot of my symptoms but not all. I am fine with nuts and almond flour but I try not to eat too much. Exercise helps a lot too! Hope you feel better! If you find something that works for you let me know!!! 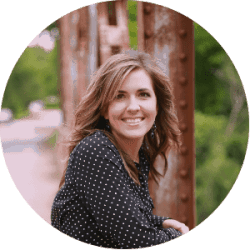 How do you deal with your gastroparesis? I was diagnosed with that, too, a few months ago. It’s not any fun. 🙁 Did going completely grain-free help? I’ve been looking for ways to increase my appetite but it’s hard to do when you’re always feeling full. It’s nice to hear from someone with the some “problems” lol. Thanks for the recipe! Thanks everyone for all the support and nice comments 🙂 I’ll need to try some of your suggestions on food pairing and low FODMAP foods. Thanks for the great recipe! I too have gastroparesis (diagnosed 7 years ago) and have found that eating grain free and low FODMAP foods have made a world of difference in my symptom management. Best of luck and don’t give up, it’s takes a little trial and error to find what works best for you! Thanks so much for sharing…I’m definitely giving these a try! I love crepes, they’re so easy; and tortillas has been one thing that I’ve missed gf…and the fact that they’re grain free is a super plus! (I’m not 100% grain free, but the corn tortillas don’t always agree with me). Oh my… I can’t wait to make these!! Good for you! I’ve heard of this (we thought my son had it last year). I’m sorry to hear that you’re not well. I can relate on so many levels with the bloating and gas. Oh my goodness. I’m 100% on SCD for Crohns and I’m still so bloated (even more so than before) – I seriously look 6 months preggers. Our bodies are like the most difficult puzzle to figure out in the world. I do hope you are able to get some reprieve going grain free, Cassidy. I wish you well on your healing journey. P.S. These tortillas look fantastic. You’re so creative in the kitchen. You’re going to do great grain free!! those look incredible! yay for going grain free! i just made the switch to grain free on the Specific Carb Diet. so tough when you’re used to quinoa and brown rice, and corn chips — but it gets easier the less you think about what you can’t eat:) Hang in there!